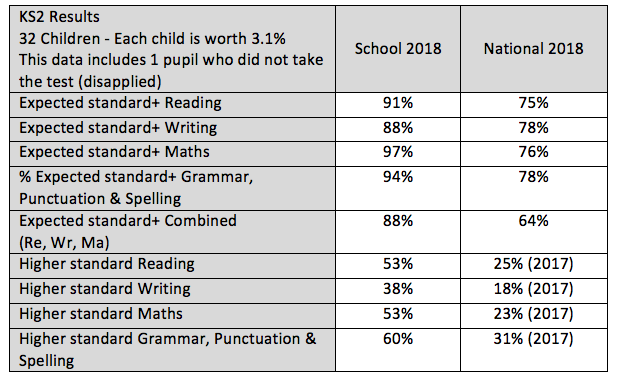 Significantly above national in all areas: Reading, Writing, EGPS and Maths and R,W,M combined. Progress in all areas is very strong for this cohort of children and compared to national. Average scaled score for the cohort was above National in all areas. A pupil’s scaled score is based on their raw score. The raw score is the total number of marks a pupil scores in a test, based on the number of questions they answered correctly. e.g. a score of 84/110 in Maths gives a scaled score of 105. 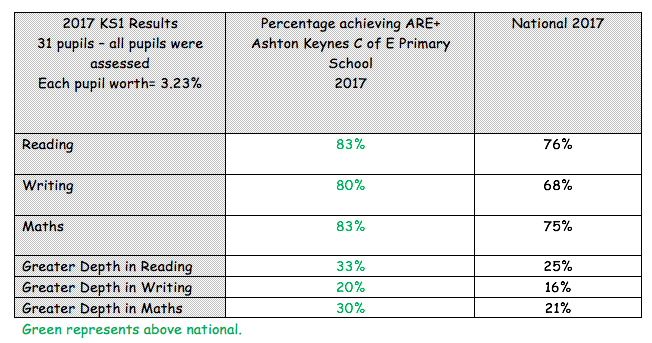 Pupil achieving the standard at the end of KS2 compared to local authority and National averages. 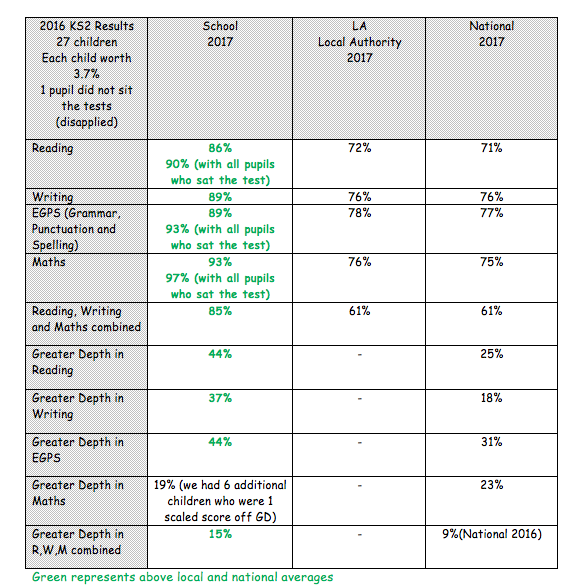 Progress in all areas is very strong for this cohort of children and compared to national as can be seen below. School level of progress is presented as a positive and negative number either side of a zero. A score of zero means pupils, on average, do as well as those with similar prior attainment nationally. 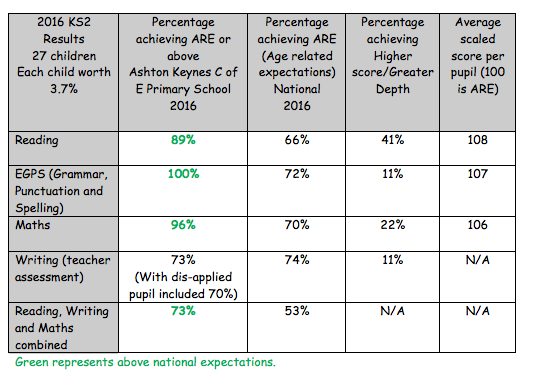 3 pupils were not included in this progress data due to being educated elsewhere and not doing KS1 assessments. From baseline entry to our school, we tracked these pupils as making significant progress from those starting points. The 3 pupils who did not pass, made significant progress from their individual starting point assessments. This year, the standard of Age Related expectations raised considerably for all schools which is reflected in the National data, we are very pleased with our results which reflect our rigorous school improvement journey and how we have been ‘reaching for the stars’ as a school. All of our children have made great progress from their individual starting points and should be very proud of themselves. As a school we are really pleased with the above KS1 results. The bar was raised for all schools this year and we were rigorously externally moderated. 100% disadvantaged pupils passed the phonics screening. The 2 pupils who did not pass, made significant progress from their individual starting points. A rise of 4.9% since 2015 and 29% since 2014. “As a governor of Ashton Keynes Primary School and retired headteacher, I wanted to express my thanks and give an enormous “well done” to everyone involved in achieving such excellent SATS results this year. The efficient and effective teamwork throughout the school has really paid dividends, particularly with the new requirements that are so very much more demanding. As a retired headteacher of over 14 years, I am amazed at how much more is expected of the children, year on year. 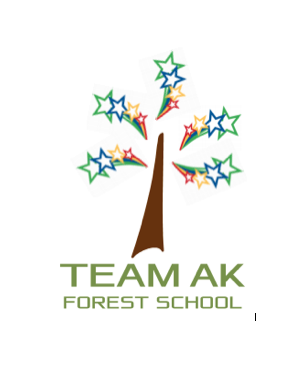 So to have achieved such excellent results this year makes the enormous effort from everyone at AK, even more incredible. However I think we should also recognise that this increase in standards across the school has not impacted upon the opportunities for enrichment and FUN, which is after all what school is all about!